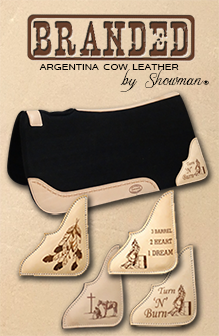 Showman ® Turquoise and Orange beaded browband headstall and breast collar set. 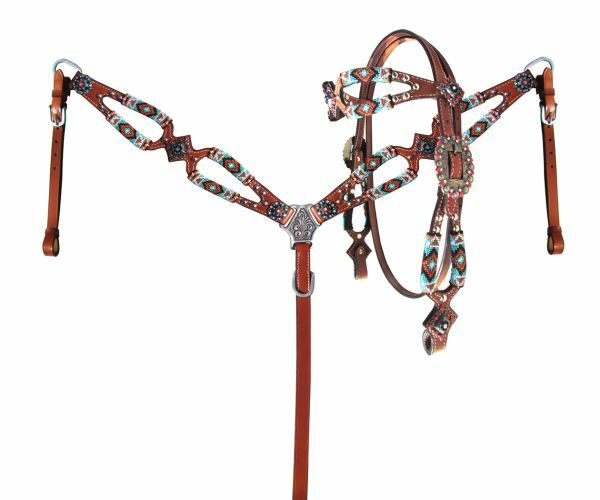 This set features medium oil leather with a turquoise and orange beaded overlay on headstall and breast collar along with cutouts on the entire set. Set is accented with turquoise and orange crystal rhinestone conchos and silver beaded studs. Set comes with 5/8" x 7' leather split reins.